Red carnations and roses are mixed with red hypericum berries and the center of this beautiful centerpiece. 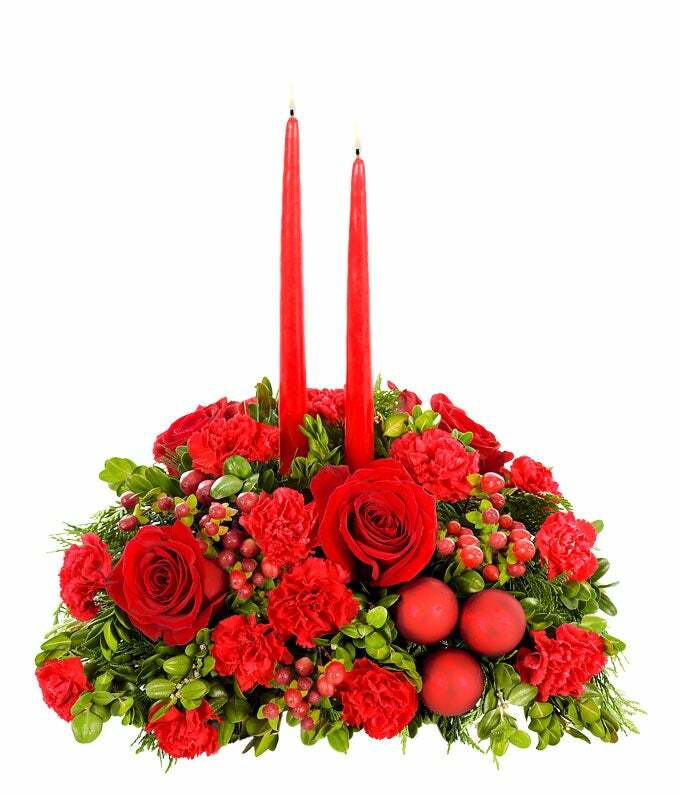 Designed by a local florist, the arrangement is accented with decorative ornaments and red taper candles. The Merry and Bright Christmas Centerpiece makes for a truly wonderful gift for the holidays, no matter who the recipient is.